The Brunel African Poetry Prize 2018 shortlist was announced on March 12, 2018 with eight poets making the cut from the hundreds submitted. The Brunel African Poetry Prize was founded in 2012 by British-Nigerian writer, Bernardine Evaristo, Professor of Creative Writing at Brunel University London to revitalise African poetry, which at that time was almost invisible on the literary landscape. The Prize planned to draw attention to this poetry and to encourage a new generation of poets who might one day become an international presence. The prize gives prize money to an unpublished African poet worth 3,000 UK pounds. 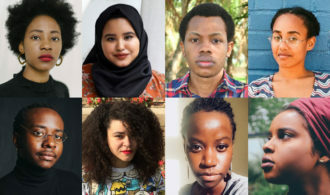 Winners of the prize in the last few years have been Warsan Shire (Somalia) in 2013, Liyou Libsekal (Ethiopia) in 2014, Safia Elhillo (Sudan) & Nick Makoha (Uganda) in 2015, Gbenga Adesina & Chekwube O. Danladi (Nigeria) in 2016 and Romeo Oriogun (Nigeria) in 2017. You can read more from the shortlist announcement here.